Hi, there! 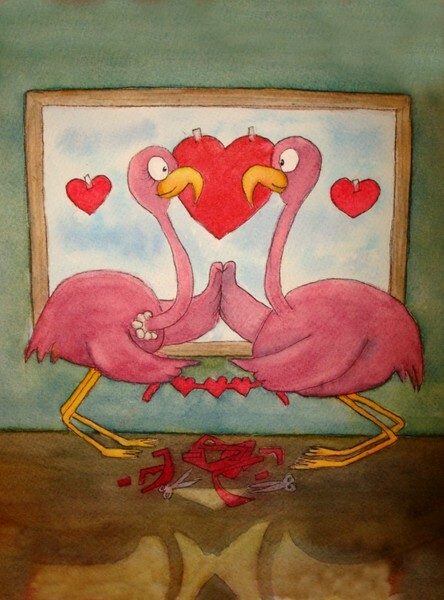 This is one of my Flamingo Line paintings---two flamingos working together to decorate with paper hearts. Great idea for your 'flamingo collector' or as a Valentine's Day card! Please feel free to check out my professional greeting card line: Icansketchu's Greeting Cards! Great work on this. I love it.